Faculty should create courses in Digication to have students submit assignments so that data can automatically be gathered for course, program and college assessment initiatives. Step 1: Click the Create button under the My Courses section of the Digication home screen.Step 2: Type the name of the course, add a description, and customize the availability dates of the course. Step 3: Click the Create button. Step 1: Select the newly created course under the My Courses section of the Digication home screen. Step 2: Under the Settings tab, select User Access. Check off the check box so students can self-enroll in the course and then click Save. Step 1: Create the new course as you normally would, making sure the course has a new name and URL. Adding the semester (ie. 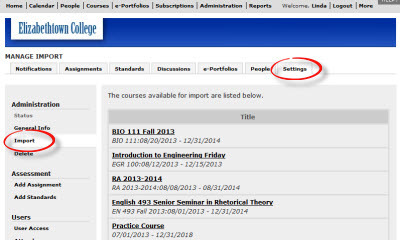 Fall 2013) is helpful so you can differentiate between courses.Step 2: When you are ready to add assignments, go to your new course and click the Settings tab. Step 3: Under Administration, click Import. 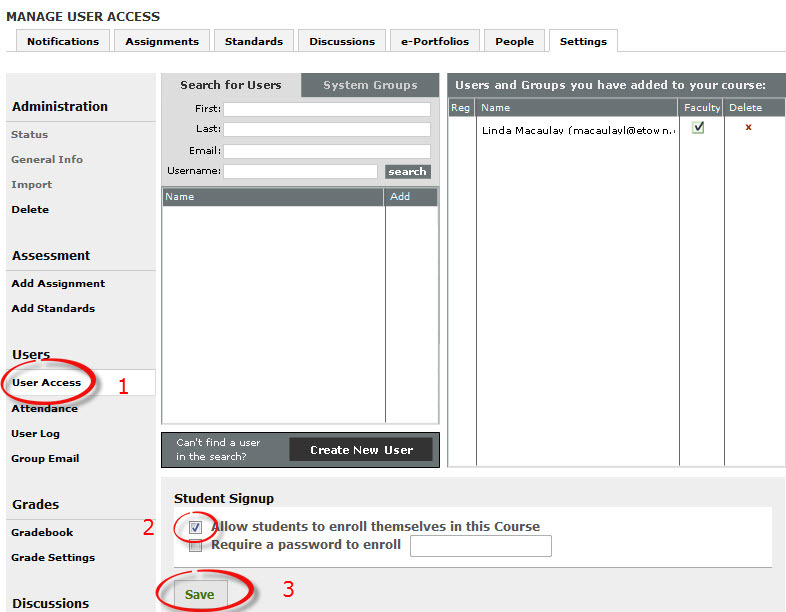 Step 4: You'll see a list of all the courses to which you have faculty access. 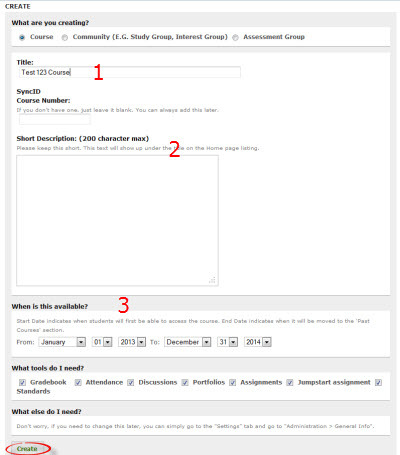 Click the title of the course from which you want to import content. Step 5: You'll see a list of content that you can import. Make sure Assignments and Standards are checked and click Import.